If you have been seriously injured in a slip-and-fall accident, chances are you are staring at expensive medical bills, compounded by lost wages and diminished future earning – not to mention a reduced quality of life. According to the CDC, approximately 30 percent of -and-fall victims sustain severe injuries, including traumatic brain injuries, neck injuries, spinal cord damage, fractures and severe lacerations. 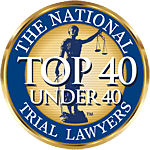 At Associates and Bruce L. Scheiner, Attorneys for the Injured, we have fought – and won – countless slip-and-fall cases in Fort Myers, Naples, Sebring, Port Charlotte and Cape Coral over the last 40 years. Many of those settlements and verdicts assured financial well-being for our clients and friends. Still, we know the amount of damages recoverable is going to depend a great deal on the individual facts of the case. Whether the case is closed following a settlement or trial verdict. In any case, the burden of proof for establishing damages is on the plaintiff. The Centers for Disease Control and Prevention estimates direct medical cost for fall victims is some $30 billion annually. That only accounts for medical bills – nothing else. The actual costs are much higher. Not all who fall can or will seek compensation for their injuries. Customer No. 1 enters a grocery store, slips on a spill that wasn’t properly cleaned and breaks his wrist. An ambulance transports him to the hospital, surgery is required, followed by a course of physical therapy. Customer No. 2 enters the same store, slips on a similar spill that wasn’t properly cleaned. As a result of the fall, he breaks his hip. He’s also transported the hospital, undergoes surgery and is released with instructions to continue with physical therapy. Even given the similarities, it’s very likely the monetary value of these two claims is going to differ significantly. The kinds of treatments, medications, pain and disability rating will be different for both, and is therefore the two won’t be equally valued – even if the underlying circumstances are virtually identical. Something to consider in pursuing a slip-and-fall claim is whether damages are likely recoverable based on the resources of the defendant. For example, a large retail outlet not only has many of its own resources, but likely carries a sizeable insurance policy with contingencies for just this kind of occurrence. These companies are prepared when slip-and-fall cases are filed, and even their legal defense team is usually paid for by the insurer. Similarly, government bodies tend to carry liability insurance for these kinds of claims, or else they usually have more significant resources. It’s worth noting, however, that many claims against the government are capped at a certain point. Since 2012, Florida allows a maximum payout for torts of up to $200,000 per person and $300,000 per claim. For almost three decades prior, under Florida Statute 768.28, the cap had been set at $100,000 and $200,000, respectively. This sounds like a lot of money, but tends to be woefully inadequate in terms of compensating a victim, particularly if the slip-and-fall resulted in lifelong disabilities or wrongful death. Claims against the government (and its employees) tend to have all sorts of pre-trial roadblocks as well. Still, if you win a claim against the government, it’s almost certain to be paid. Smaller businesses and individual homeowners may not have the same kind of resources, but many are still protected under insurance policies that will cover damages. Florida has more than 2 million small businesses (defined as fewer than 50 employees), according to the Small Business Administration. Commercial Liability Insurance is not mandatory for these firms, many hold policies that cover between $500,000 and $1 million. High-risk businesses (such as those in building trades) may carry more. Additionally, most homeowners are insured because, while the law doesn’t make coverage mandatory, most lenders do. However, the types of accidents covered under those policies varies widely, and not all include liability coverage for slip-and-fall. It may still be worth filing a claim, but one may have to consider the individual’s ability to pay any meaningful judgment. If you and your fall injury attorney deems it worthwhile to press forward with a slip-and-fall claim, you can seek three basic kinds of damages. Special Damages. Sometimes these are referred to as “out-of-pocket” damages. These are monetary damages resulting directly from the injury, such as medical bills, cost of transportation, lost wages for the time it took to recover, etc. General damages. These are more subjective damages, and usually the largest part of a personal injury award. They can include pain and suffering, loss of future earning capacity, reduced quality of life, etc. Punitive Damages. These are meant to punish the defendant, and courts will only allow pursuit of them in cases where plaintiff can show evidence of gross negligence, or reckless and wanton disregard for the safety of others. Punitive damages in Florida slip-and-fall cases are rare, but in cases where they are won, they are capped at three times the amount of compensatory damages or $500,000 – whichever is higher.